Roach Newton, LLP has extensive experience in representing both large and small companies in general business litigation, including disputes involving contracts, trade secret, intellectual property, securities and fraud. Represented a casualty insurer in a subrogation claim involving the interpretation of a drilling contract and the contract’s allocation of risk to pay for damages to the drilling rig and platform. The client received a substantial settlement after only minimal discovery and expense. The case was pending in the United States District Court for the Southern District of Texas before Judge Lynn Hughes. Represented a major oil company in a breach of contract case involving the allocation of loss following destruction to a deep water pipeline in the Gulf of Mexico. The court granted summary judgment in favor of client. The case was heard in the District Court of Harris County, Texas before Judge Al Bennett. Represented an international paper company against allegations of fraud, negligent misrepresentation, punitive damages and contract waiver. The court granted a directed verdict on the fraud, negligent misrepresentation and punitive damage claims. The jury found contract waiver, and that finding is now on appeal. The case was tried in the United States District Court for the Eastern district of Texas before judge Thad Heartfield. 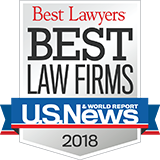 Represented a publicly traded company against allegations of common law fraud, securities fraud, statutory damages and common law punitive damages. The jury found the verdict for client. The case was tried in the District Court of Orange County, Texas before Judge Buddie Hahn. Represented a national retailer against a consumer class action case involving allegations of consumer fraud and misrepresentation. The court dismissed the case prior to the class certification hearing, resulting in a take nothing judgment. The case was pending in the District Court of Jefferson County before Judge Donald Floyd. Represented a utility company in claims of impropriety over billing. The court granted the client a directed verdict. The case was tried in the District Court of Jefferson County before Judge Ronald Walker.